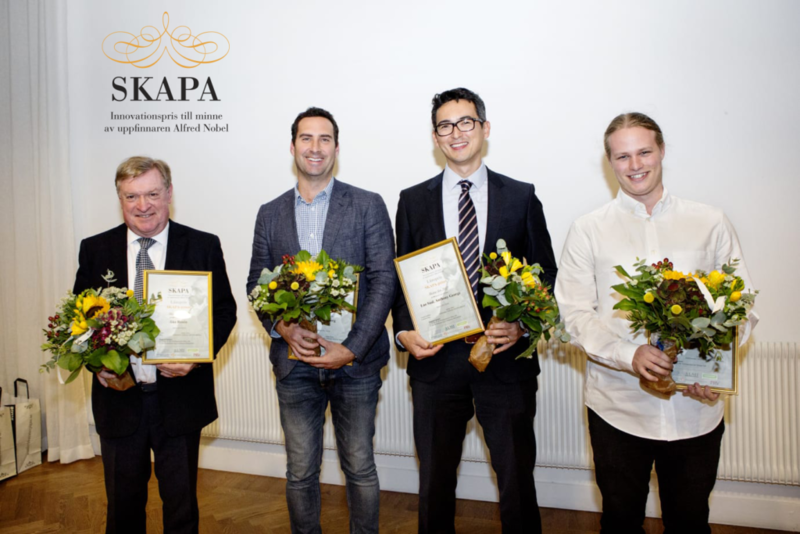 SAGA Diagnostics’ CEO Lao Saal (pictured 3rd from left) and CTO Anthony George were awarded the prestigious SKAPA Foundation Innovation Award in the Memory of Alfred Nobel for their development of ultrasensitive technologies to measure circulating tumor DNA. Lao and Anthony are among two regional winners for Skåne in south Sweden in the Innovation category and are nominated for the Swedish National SKAPA Award, to be decided in November. Read the press release here.